Hello Refashion Co-op. 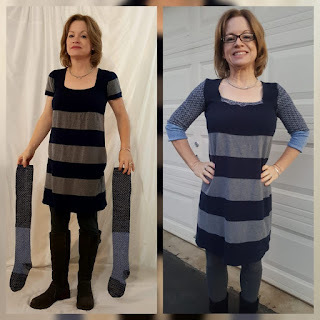 I wanted to refashion dresses all month in honor of Dressember. Dressember is a way to raise awareness about human trafficking by wearing dresses everyday of December. A dresses symbolizes women because they are the primary victims. 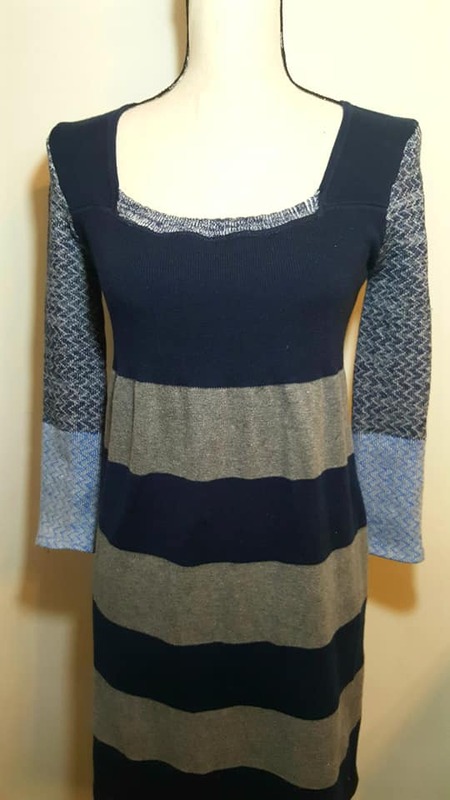 Today's dress is a soft cozy sweater dress. It wasn't warm enough because the sleeves were short. 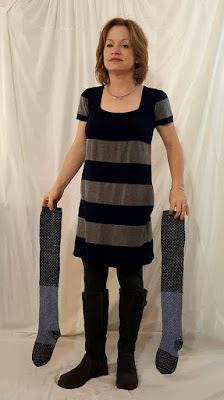 I wanted to make sleeves out of these over the knee socks. 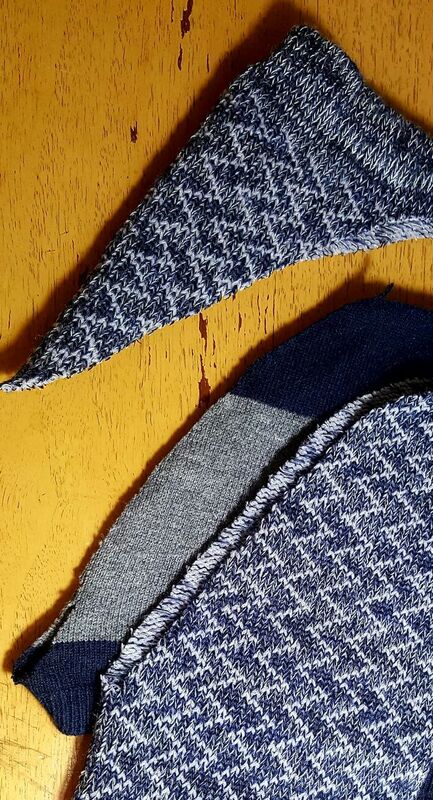 Could socks be sleeves? Sure, why not? I cut the short sleeves off the dress. 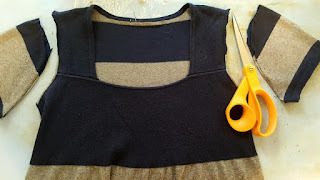 I didn't remove the seams, I wanted to keep them to stabilize the armhole. 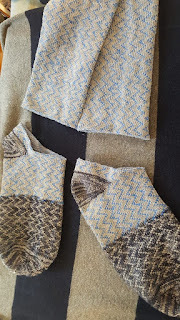 I cut the feet off the socks and then cut top of the socks in a curve that matched the shape of the sleeves I had just cut off. Was it exactly the same? No, but it was close. 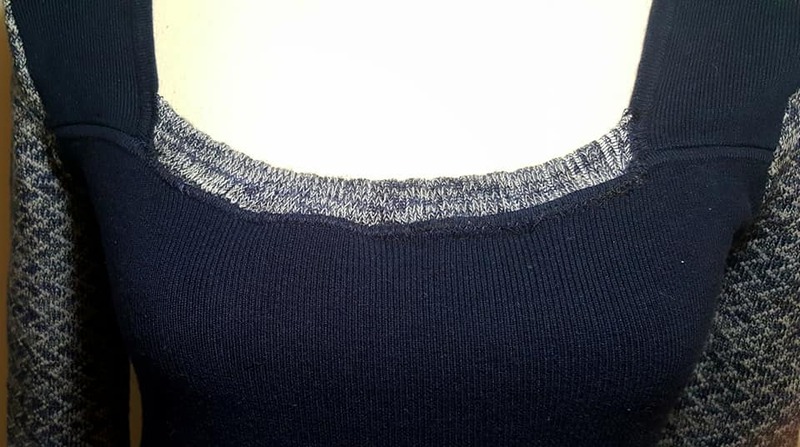 I stitched my new sleeves in place. It was easy to manipulate the knit fabrics together. I used the stretchy cuff at the top of the sock and stitched it on at the neckline. It fit perfectly and made the neckline a bit higher. It also made it more secure so it didn't open as much when I bent down. 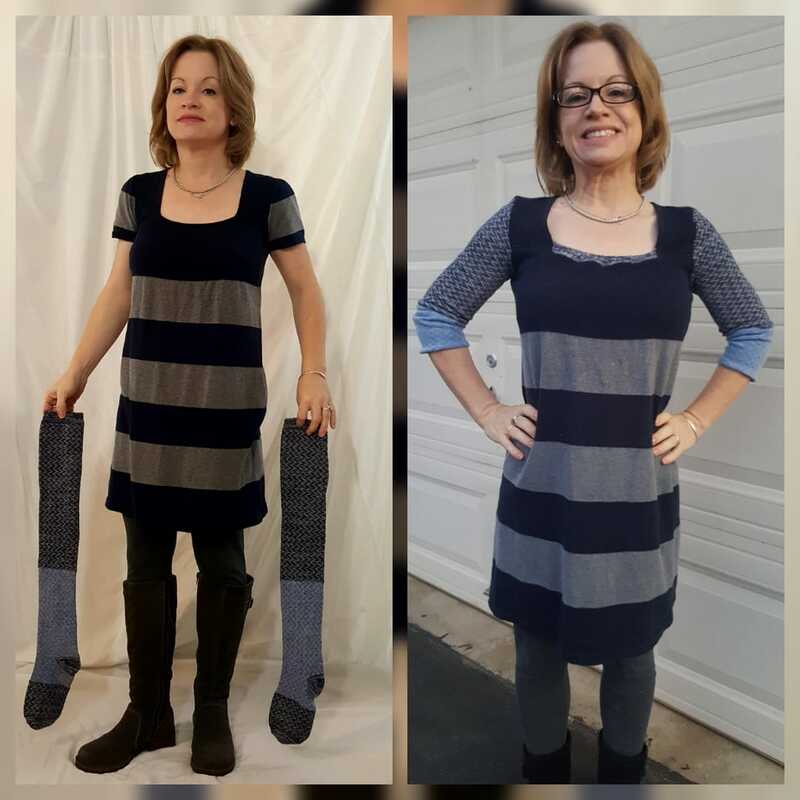 And it also added a little more of the sock pattern to the dress and helped tie it all together. 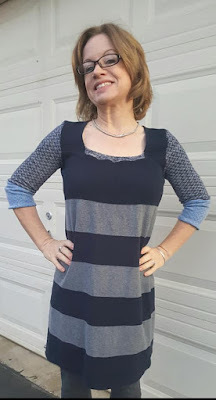 I was warmer with the longer sleeves, I am so glad I tried it. You did a great job. I would never have thought of using the rufflie part for the neckline. Interesting... looks good on you. Not sure I would have done it though. What a great Idea and it looks really nice on you!